AMERICAN provides tapping valves for sizes 4"-48", rated at 250 psig working pressure. 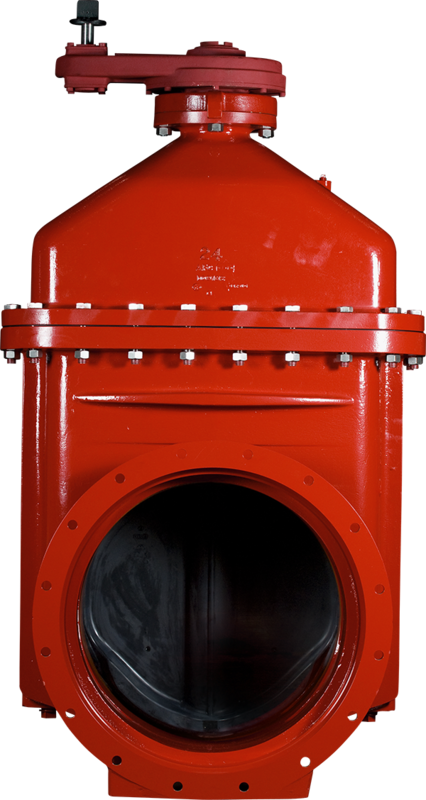 The Series 2500 tapping valve is furnished in a flange x mechanical joint configuration and includes all of the standard features found on the Series 2500 gate valve. The flange is provided with an alignment ring, which is designed to fit into a recess on the AMERICAN-manufactured tapping sleeve. This fit assures a proper alignment between the sleeve and valve, which in turn ensures proper passage of the cutter during the tapping procedure. The Series 2500 tapping valve is made of ductile iron. The opening is larger than nominal diameter to accept full-size shell cutters through 48".